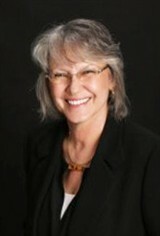 Title: Senior Clinical Outreach Director – Central U.S.
Lida Prypchan, MD, Attending Psychiatrist of Wyoming Behavioral Institute, has been recognized by Elite American Health Professionals, for dedication, achievement and leadership in, for dedication, achievement and leadership in health care. Deerfield Beach, FL, February 17, 2016, Deirdre A. Foudy, Doctor of Physical Therapy with Health South, has been recognized by Elite American Health Professionals, for dedication, achievement and leadership in physical therapy. Billings, MO, February 9, 2016, Donna Hendershot, Cardiac Echo Supervisor and Donna Hendershot Consulting, has been recognized by Elite American Health Professionals, for dedication, achievement and leadership in cardiology consulting. 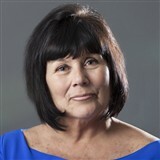 With nearly four decades of experience as a health professional specializing in cardiac echo services and electroencephalograms, Ms. Hendershot continues to provide quality health care. After years implementing her cardiac knowledge and skills at San Leandro Hospital, she presently operates her own consulting firm, educating and treating matters of cardiac care and diagnostics. In her career, she has been recognized with the Sharp Shooter Award and an Outstanding Employee Award. 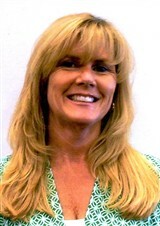 Ms. Hendershot maintains affiliation with the Cardiovascular Credentialing International, American Registry for Diagnostic Medical Sonography, Inc., American Society of Echocardiography, Western Society of Electroencephalography, Bay Area Society of Echocardiography and the Society of Diagnostic Medical Sonography. North Las Vegas, NV, November 10, 2015, Kelly Gleadall Beach, Owner of Beach Therapy, has been recognized by Elite American Health Professionals for dedication, achievements and leadership in mental health care. For more than 25 years, Ms. Gleadall Beach has been assisting children and adults with their behavioral health care needs. At the core of Ms. Gleadall Beach’s business is her commitment to bettering the health and wellness of every person that comes through the door by providing customized care through appropriate plans of action. On any given day, she is actively responsible for overseeing mental health assignments, supervising LMFT interns, coordinating with Medicaid and foster care agencies, and organizing behavioral health care with Medicaid to ensure that children receive the appropriate support. Driven by her desire to help others, Ms. Gleadall Beach provides monthly supervision to foster care agencies, and also educates members of a child’s treatment team with other organizations. Company: Reliable Rock Counseling and Consulting, P.C.